None of the ingredients needs to be exact. 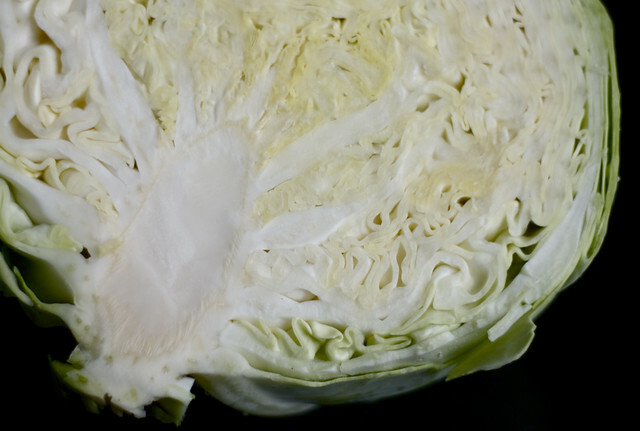 I used roughly half my large cabbage head, about eight small potatoes in place of the larger russet potatoes, and the remainders of two large leeks. 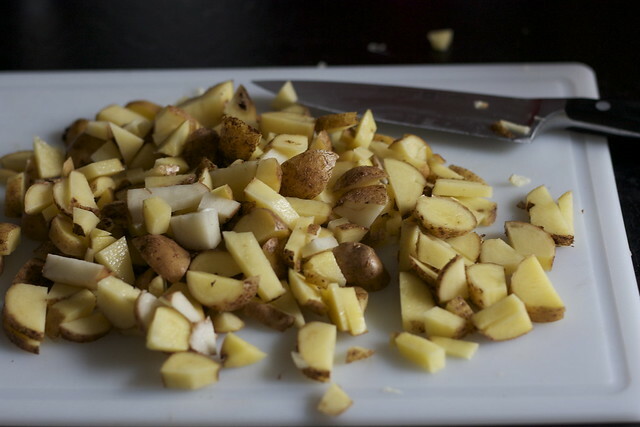 My potatoes were more tender to begin with, so the soup came together quicker. Taste or squish a potato from the pot to see if it’s ready. As always, the amounts below are merely guidelines; the best kind of cooking allows for liberal adjustments. 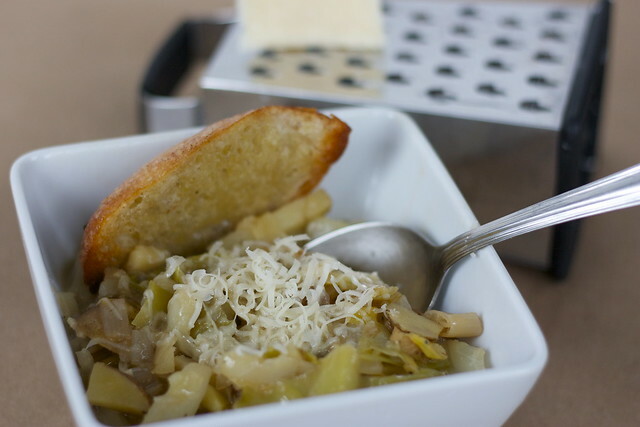 Melt the butter in a large pot over medium heat and add the leeks. Cook, stirring occasionally, until they are golden brown, 5-7 minutes. 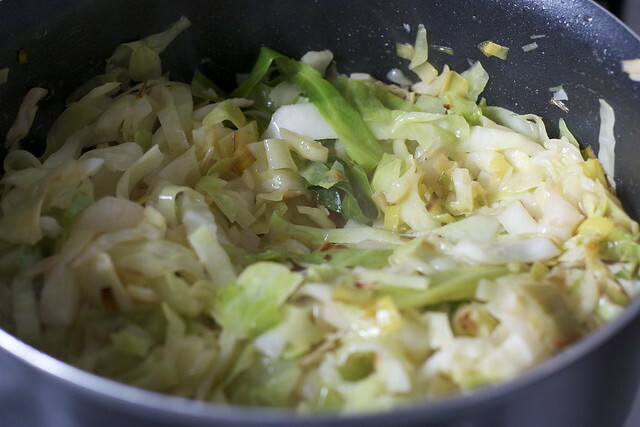 Add the cabbage and garlic, stirring occasionally until the cabbage begins to caramelize, 10-15 minutes. Stir in 3 cups of vegetable stock, potatoes, and thyme. Season with salt and pepper to taste. 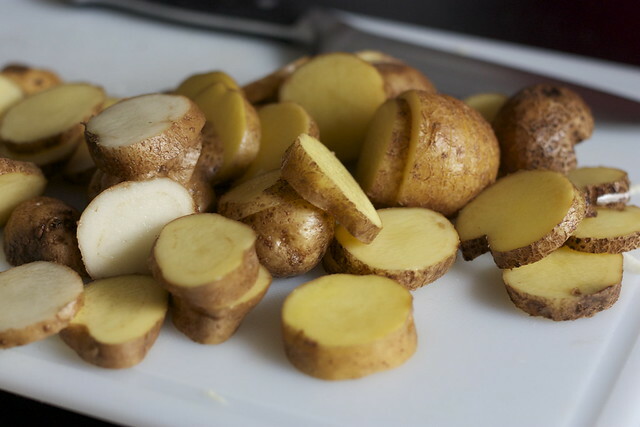 Bring to a boil then reduce to a simmer and cook, partly covered, until potatoes are falling apart, about 45 minutes. Add more vegetable stock from the remaining cup while cooking to reach desired consistency. Serve with parmesan cheese and freshly ground black pepper on top. Enjoy! 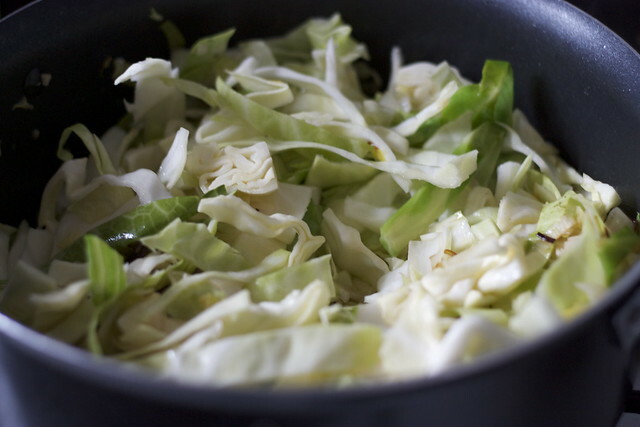 Another yummo…..many great soups are cabbage based ….like Borsht ….I have never made that…but have eaten many times …main ingredient red cabbage….really great flavor !!! Hi Claire! Thanks for all the kind comments! I would love to try your Italian meatball soup recipe!